Ivory linen, shining tableware and regalia metamorphosed the Refectory into a classic banqueting hall. 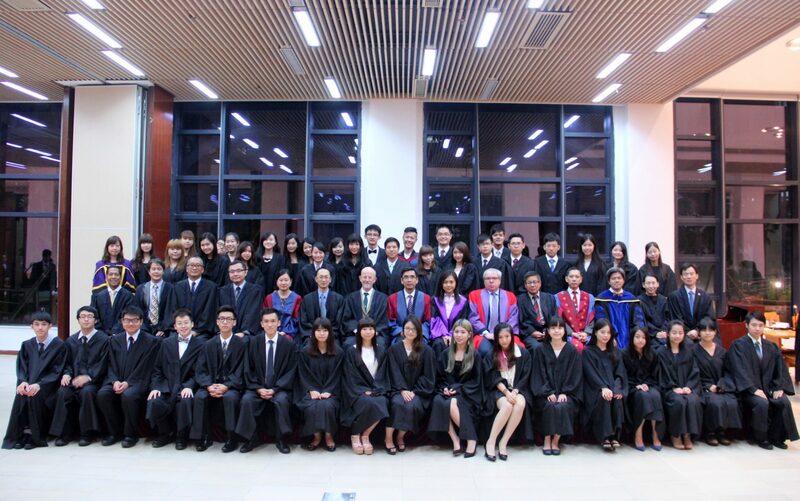 The scenario was not from a film, but rather, the Commencement Dinner of Stanley Ho East Asia College, which indicated the open of Commencement of 2015/16. 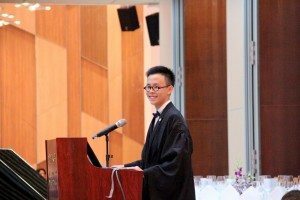 The High Table Dinner, an iconic dinner assembly of SHEAC was held at the Refectory for the first time of the academic year of 2015/16 on 16th September. 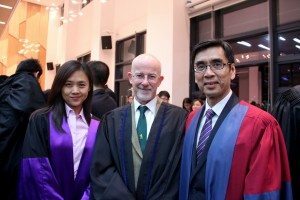 The occasion was attended by Guest-of-Honour Prof. Martyn Evans, Principal of Trevelyan College, University of Durham; Prof. Iu Vai Pan, College Master of Stanley Ho East Asia College, as well as about 300 College members, fellows and students. Guest-of-Honour Prof. Evans giving a speech. 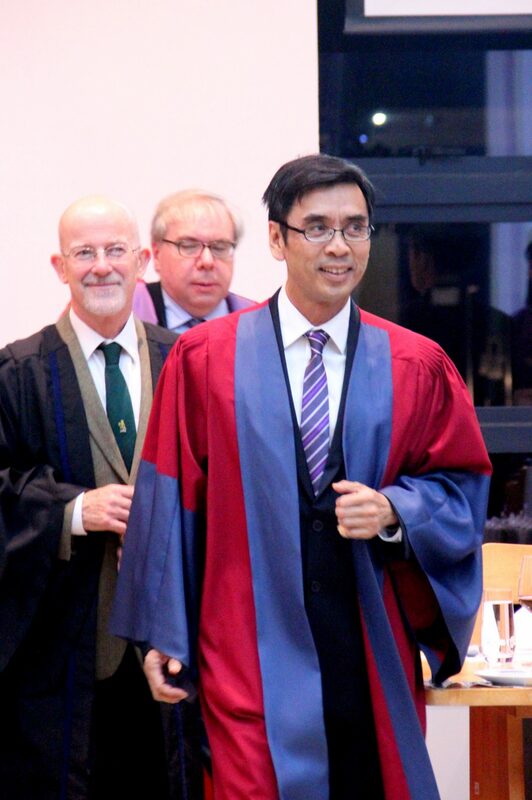 The dinner was started with a traditional procession of guests and academics. 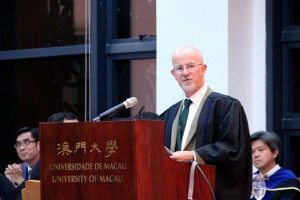 After Prof. Iu’s warmly welcome and brief introduction of the forthcoming events in SHEAC, the Guest-of Honour, Prof. Martyn Evans delivered an inspiring speech on what a freshman should expect to learn in the coming semester, and what he wishes students to learn during their university life. Prof. Evans shared his wisdom and reflection about modern higher education and life learning with audiences. 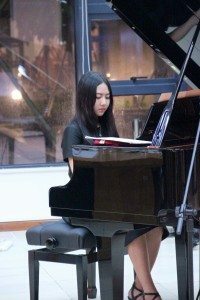 During the dinner, student pianist Wang Jingxin (Year 2 in Government & Public Administration) sublimed the atmosphere of the dining hall with two universally appreciated solo piano pieces, River Flows in You and New Moon. Drawing the curtains to a joyful end to the dinner, Guest-of-Honour, College Master, Associate Master and Fellows remained to take photos with the students.